The dream: Being able to take a weekend jaunt to Mars. The reality: When commercial space travel happens, it'll likely start as the in-orbit kind currently being worked on by the likes of Virgin Galactic. People will pay huge amounts of money to travel in what's essentially a really high flying plane. Eventually this could progress to weekend stays in orbiting space stations, like space condos, said James Canton, head of the Institute for Global Futures. 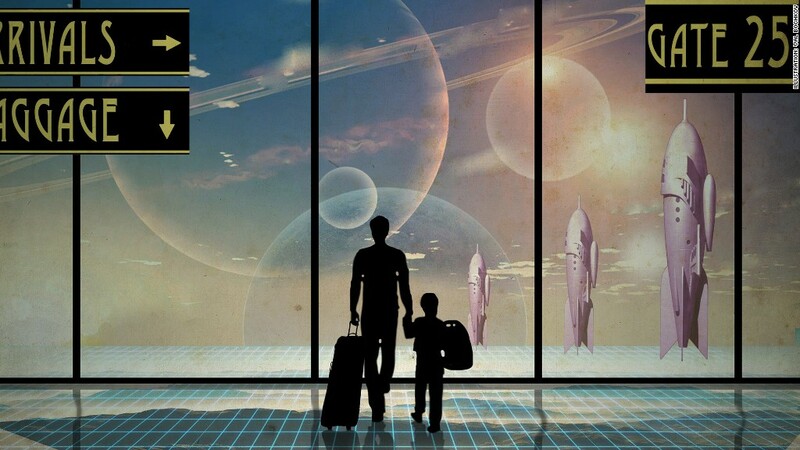 But interplanetary travel is unlikely to take hold since it's just so expensive. "Nobody's going to Mars for the weekend," said Thomas Frey, senior futurist at the DaVinci Institute, a futurist think tank. "It's like a four month trip."